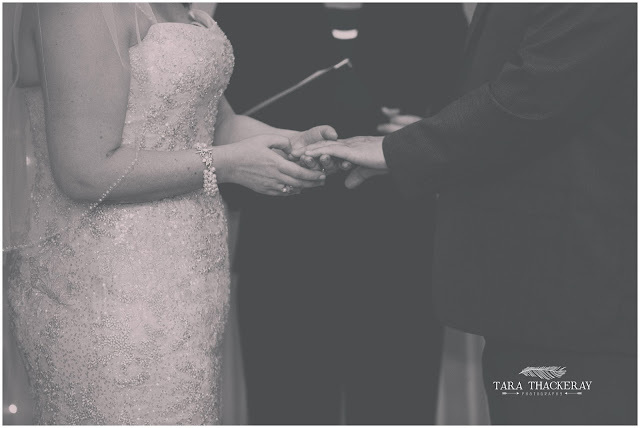 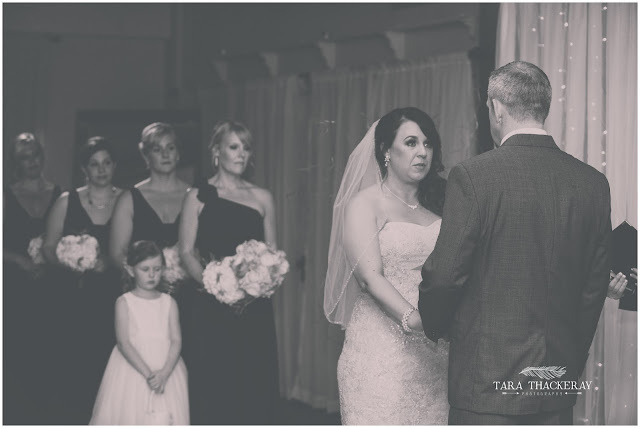 When he saw her for the first time that day, I saw a sparkle in his eyes and a connection between them like something from a romantic movie. True love, and admiration for each other. There first look was perfect but really the entire day felt that way. 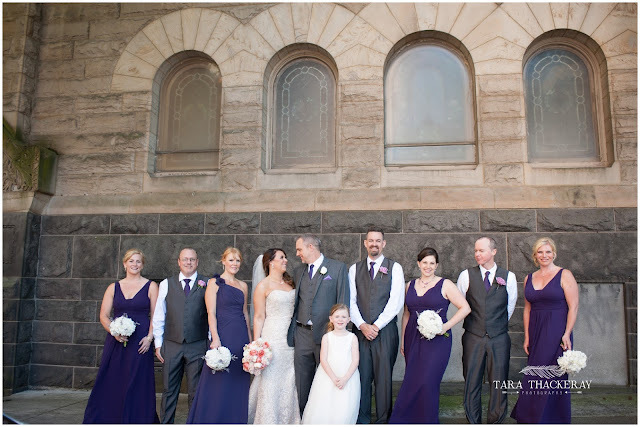 So much love just overflowing at this wedding. 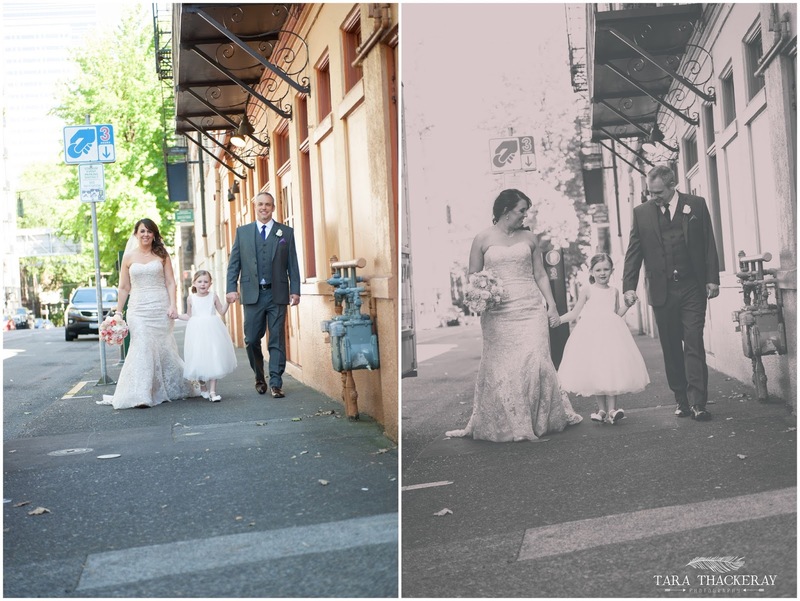 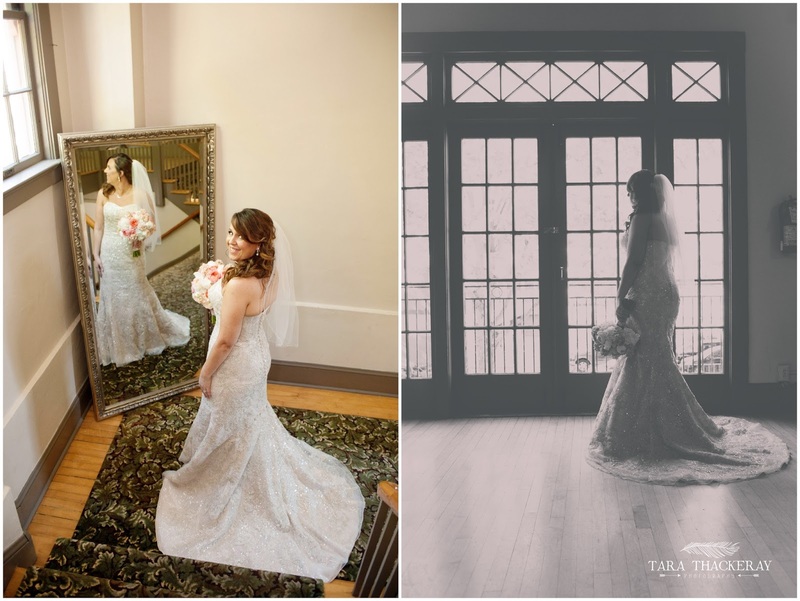 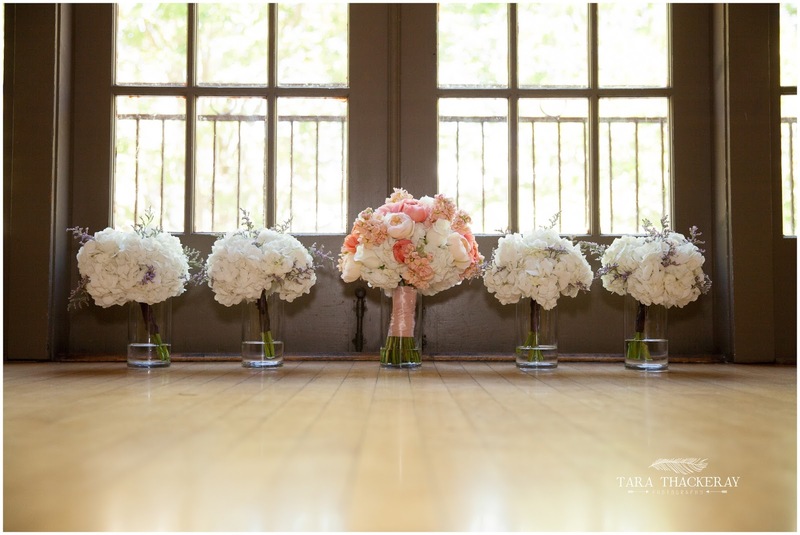 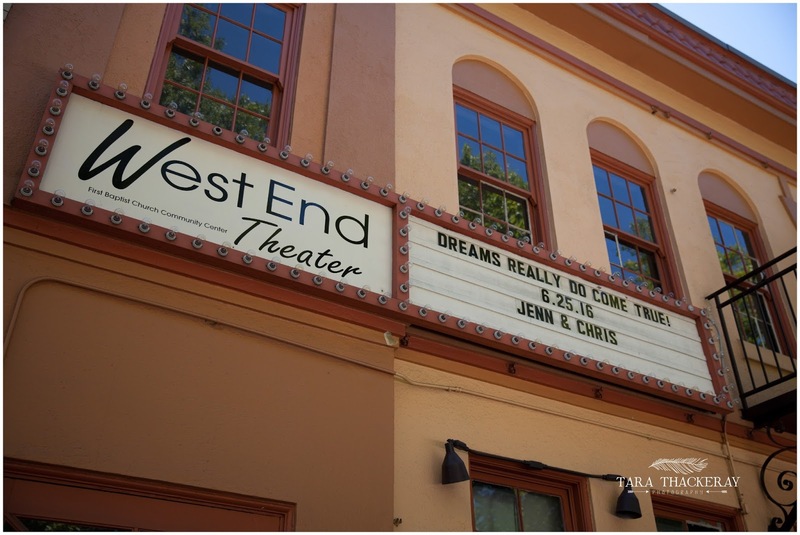 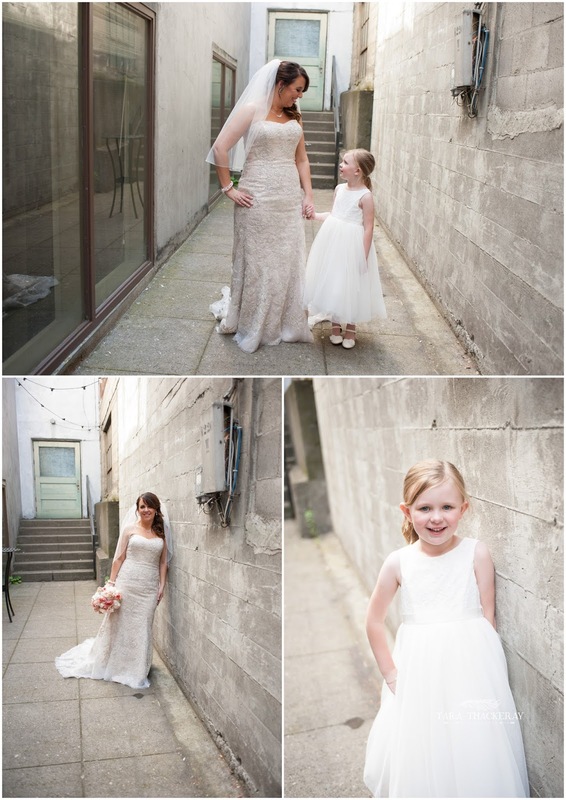 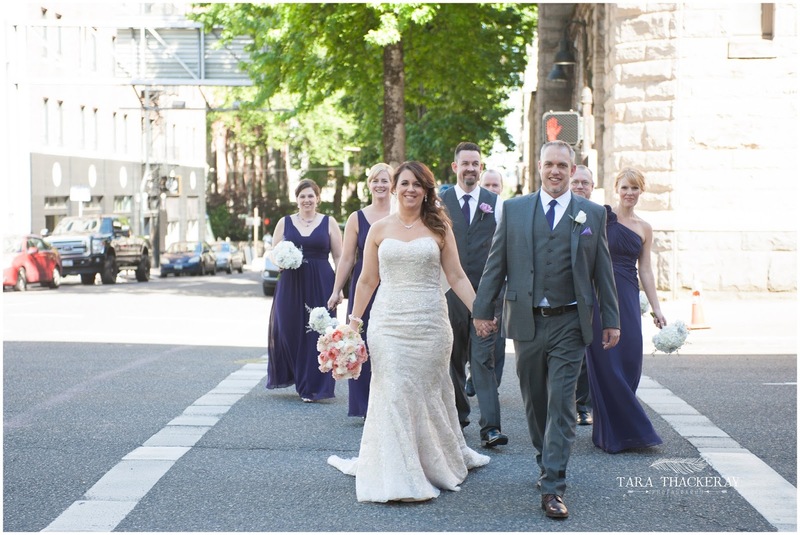 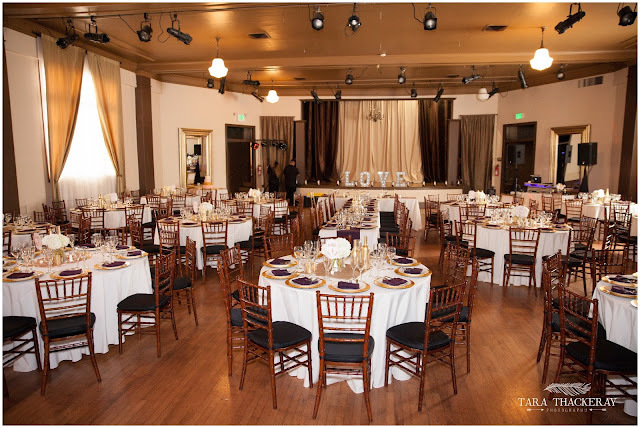 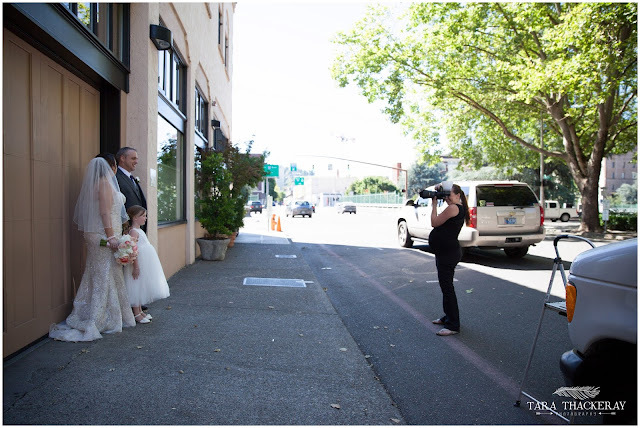 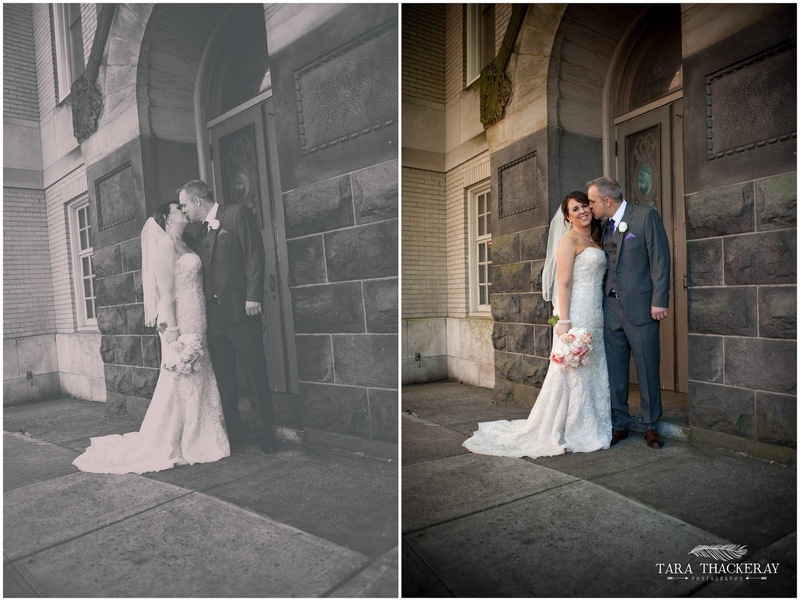 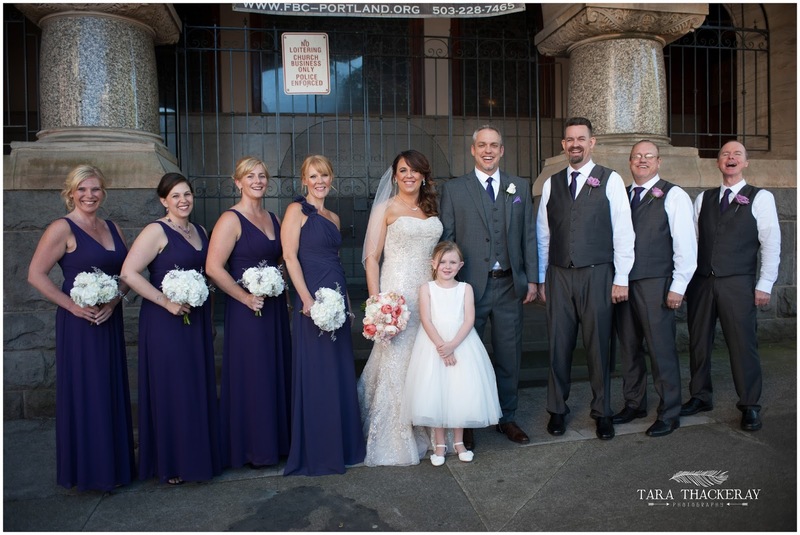 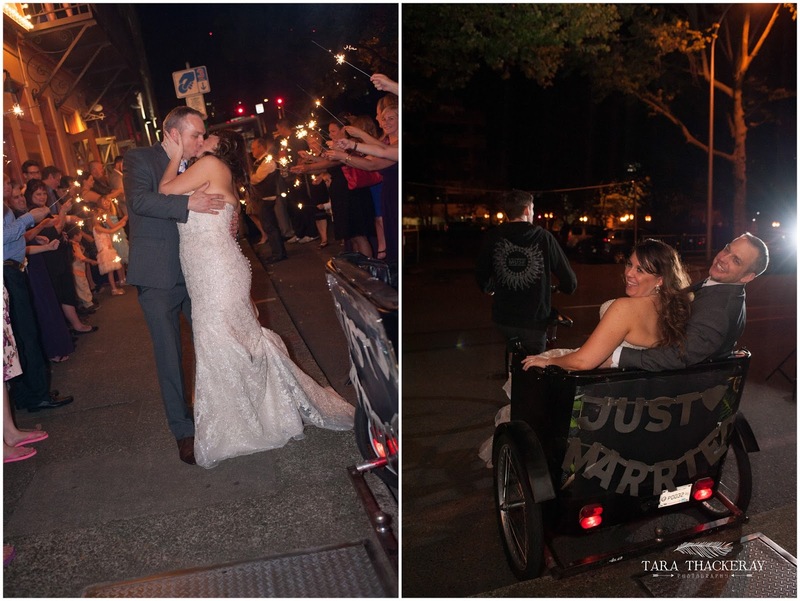 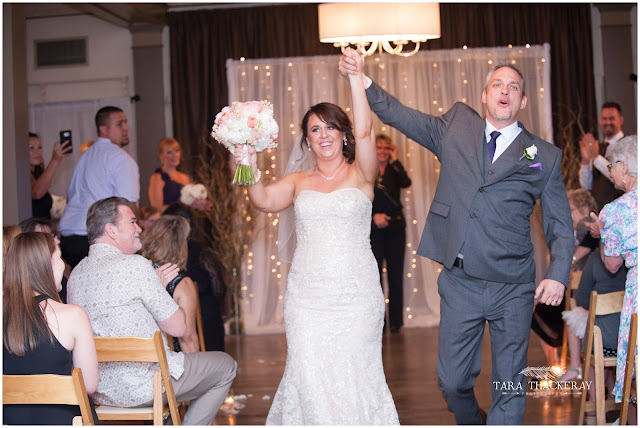 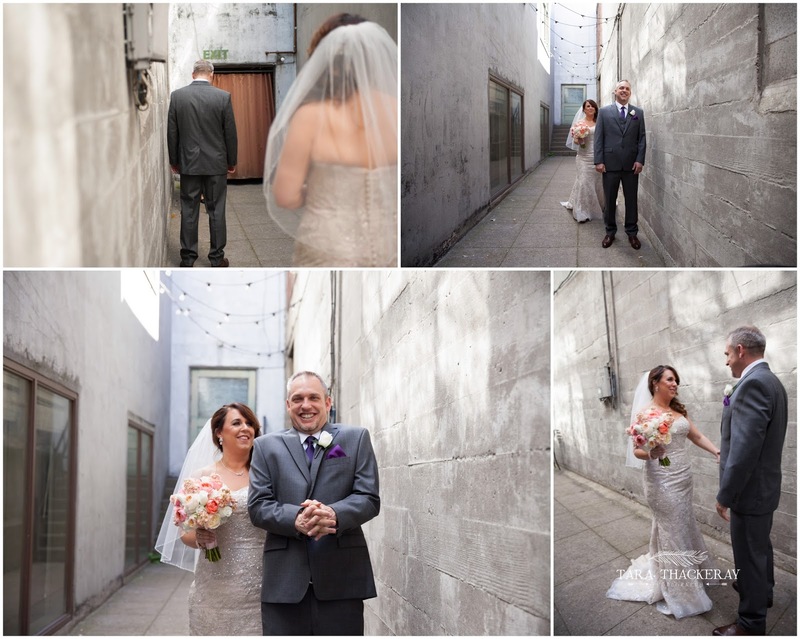 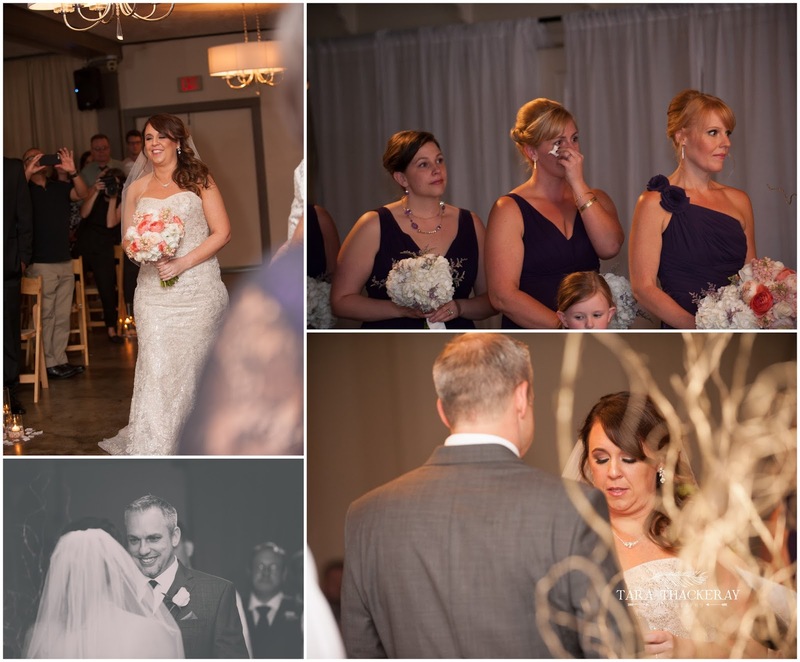 Jennifer and Chris were married at the West End Ballroom on June 25th in Downtown Portland, OR. 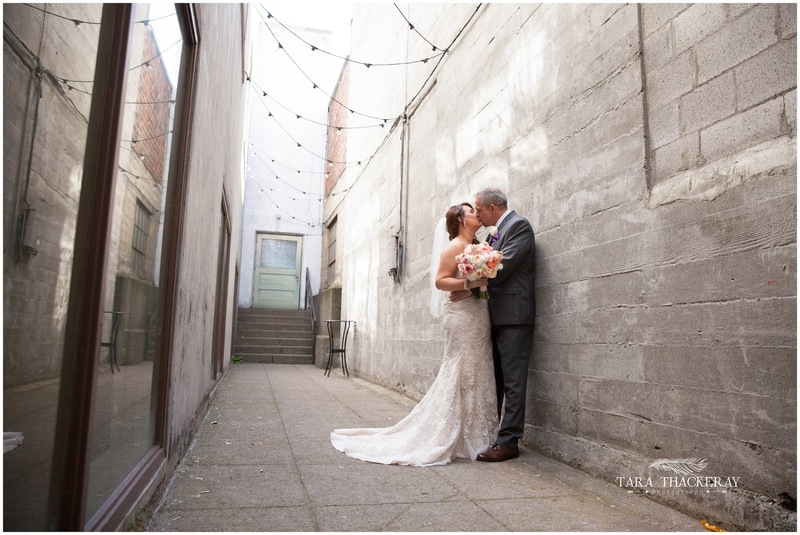 It was a lovely summer wedding. 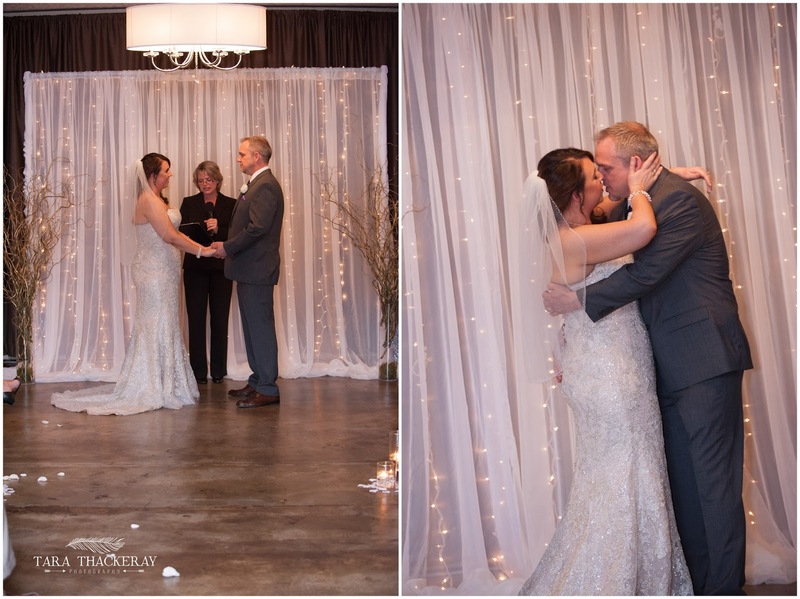 The decor was top notch as Jen has an incredible sense of style. 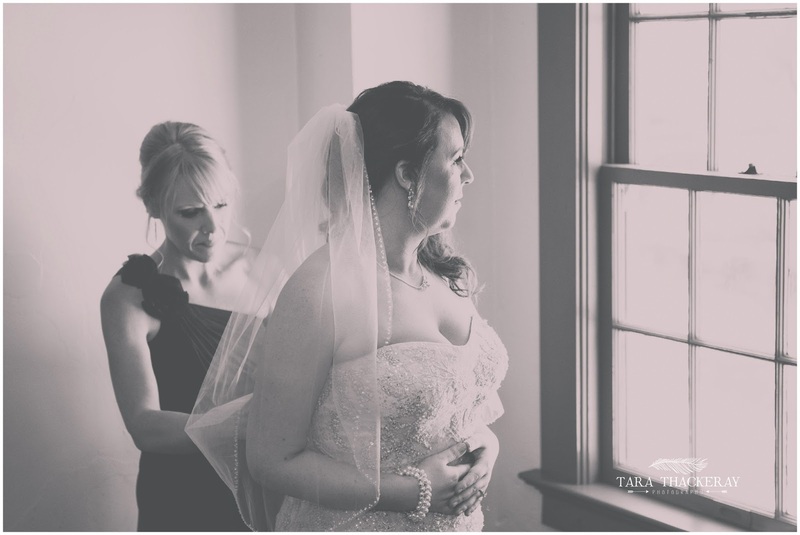 Her colors were Gold and Plum Purple. The flowers were romantic. 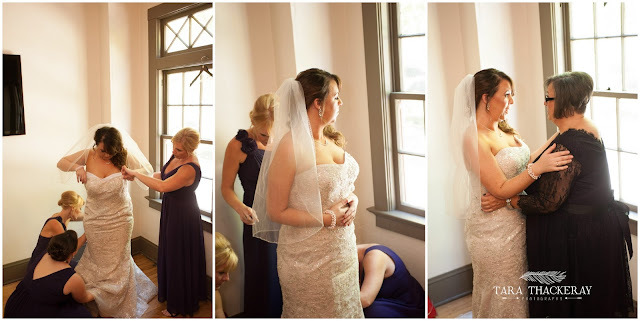 Her wedding dress was classic and elegant. The food was amazing and the presentation of everything was so on point. Even the DJ was awesome. 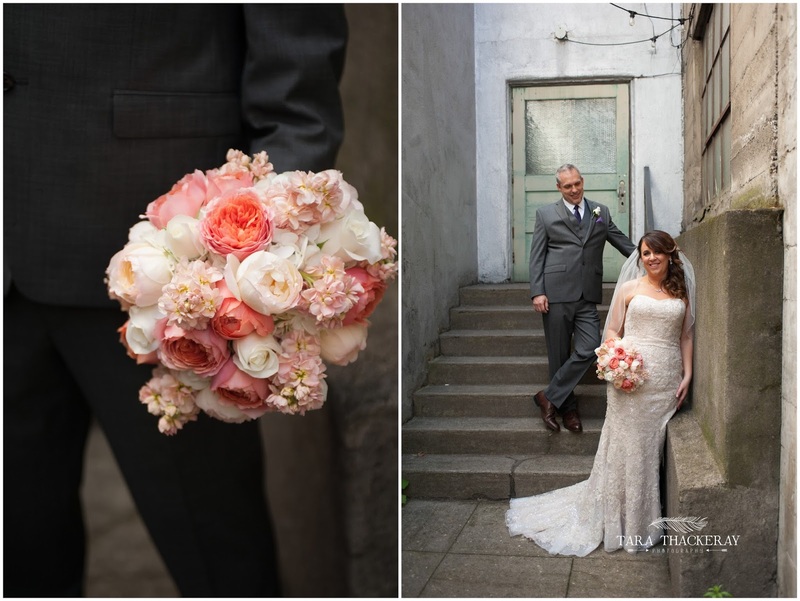 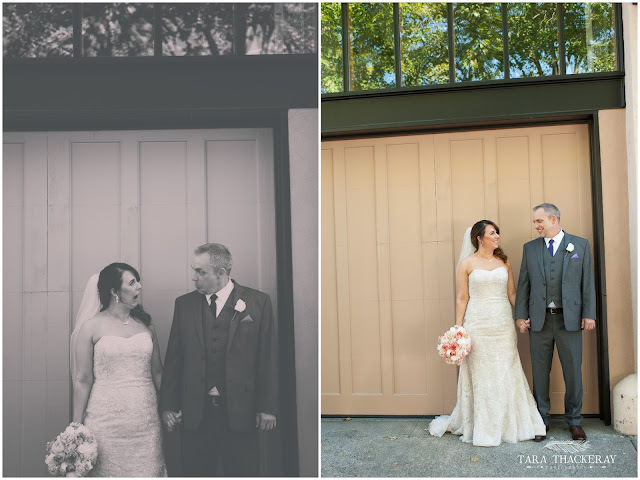 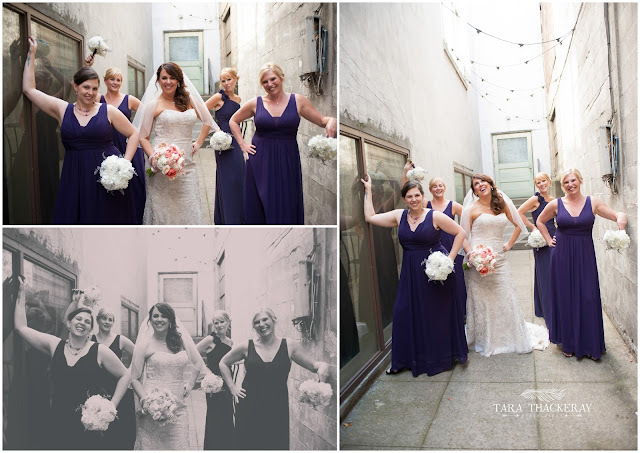 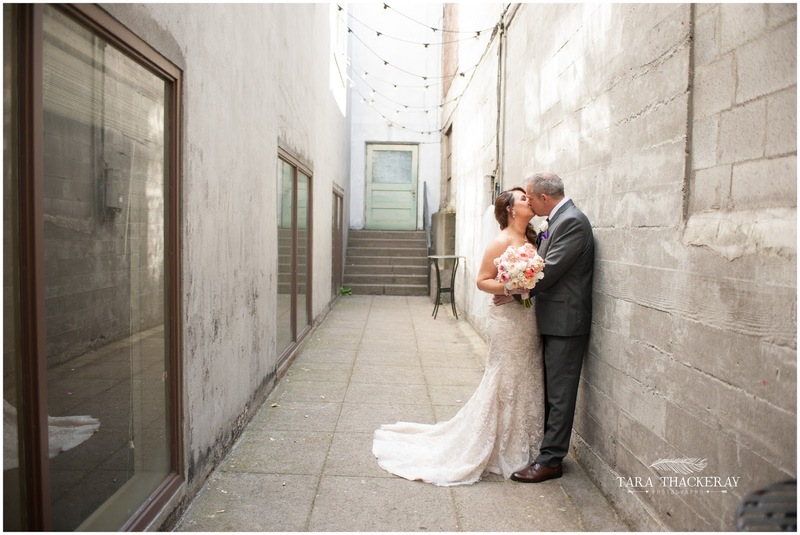 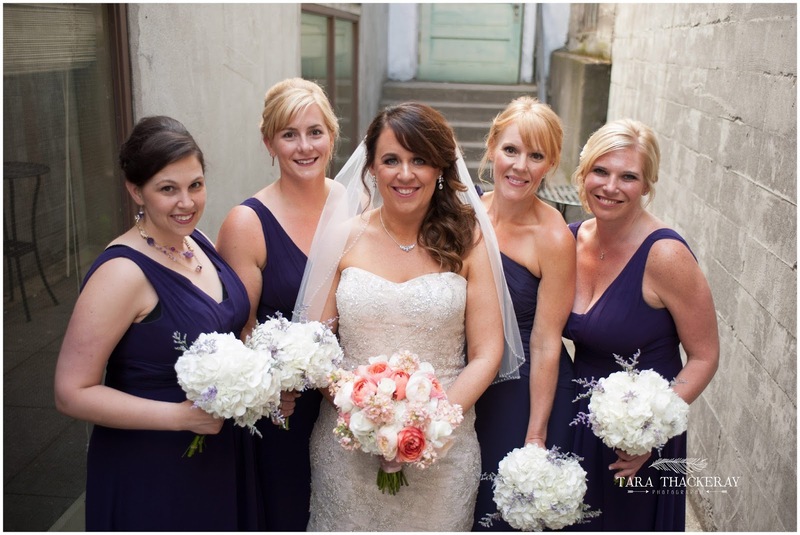 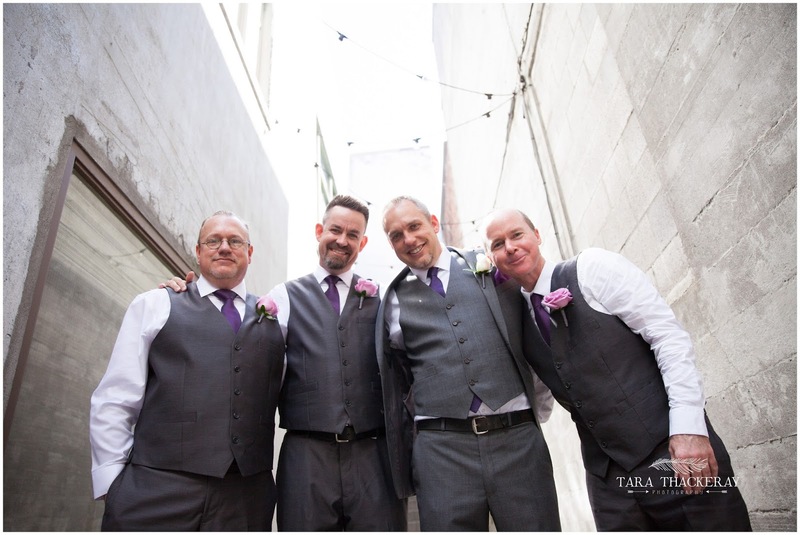 Such a fun Portland Wedding!